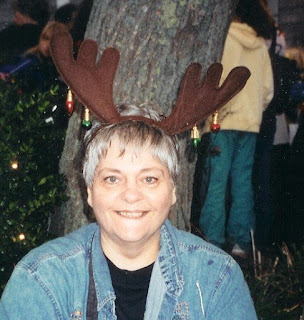 I haven’t really written much about my mom dying, but the reason is simply that I’ve had so many doctor appointments between everyone in the family, I haven’t felt I had the time to give it the attention it deserves. Because Mom died Dec. 2nd, so close to Christmas, and she was being cremated according to her wishes, we decided to hold a memorial for her instead of a funeral, and to hold it the first weekend in February. So our family planned and packed, no small undertaking with six people going, scooped up my niece Jessie, who lives 2 hours from us, and off we went to Massachusetts on the first. The memorial was scheduled for Saturday morning, the 4th, at the same place where we held my beloved brother Steven’s funeral. Since we had so few days to be back north, and so many family members we wanted to spend time with, our lunches and or suppers were planned out to make the most of our time there and spend it with family members. And, too, we were making the foods for the fellowship meal after the memorial, so we got to spend time together cooking, baking, and catching up. The first night we got there we had the pleasure of a New England boiled dinner at my sister Kris’s and my niece Becky’s house. I didn’t get all the photos I wanted to take because after we ate, we played game after game of Mad Libs and laughed and laughed! What a wonderful night! The next day my sister Susan and I baked and baked, cupcakes, cookies, and more as we talked almost non-stop about anything and everything. I loved the time sharing from the heart in the afternoon. Caity came in and we took a quick pic together. The night of the memorial, we went to spend our last night there at my Dad and his wife's house, eating my favorite Papa Gino's pizza, looking through recipes, and generally enjoying some chatter around the dinner table. And I forgot to get pics! But that morning, at the memorial, we sang some of my mom’s favorite hymns, and each of us daughters got up and spoke. Kris read Mom’s favorite Psalm, 91, and talked about not only the impact Mom had on our lives, but also the impact she had on the community in her various roles as 4-H leader, nurse, friend, Girl Scout leader, and the like. Susan spoke about what it was like to have Mom as a mother, what she meant to us as a mother, and the wonderful childhood we had because of her. I spoke of my mother in poems. I read two poems that I had written for her, one before she died, and one after. I’d like to share the poem I wrote ten days after Mom died. It’s called The Gift. though when, you will not know. don’t leave her any doubt. no matter if you part. and know she loved you so.